Arguably all businesses are playing catch up these days. Things can quickly change in the blink of an eye – for good and bad. The good that comes out of everything that is going around is the fact that people have gotten smarter. If a product is better, people entertain it more openly now regardless of brand. If it is good, they will use it; if it is bad, they will toss it. For finance teams, purchasing a financial budgeting and reporting software is an important step. Finance professionals understand better now that they need technology to usher them to new heights. Buying a new accounting software has truly become bottom up in the sense that finance professionals are now empowered to question why their FP&A process is broken or why their tools are not keeping up with both internal and external demands. 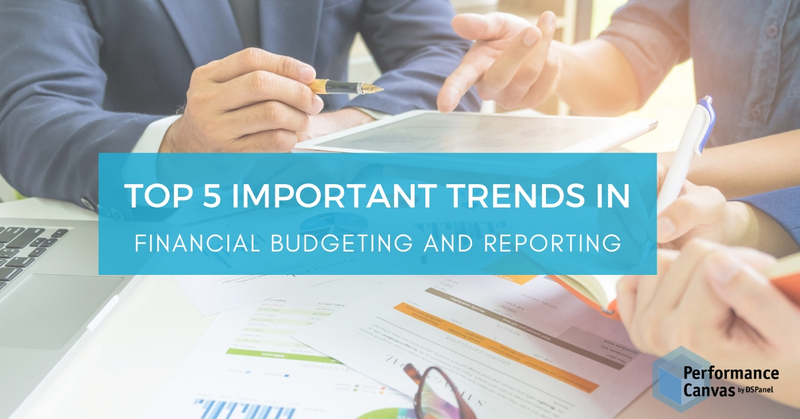 If you or your finance team is in the process of evaluating a business budgeting and reporting software, here are some trends this year that you might want to check out. Gone are the days when companies were willing to have one software for one purpose. Now, everyone knows, the fewer systems you need to maintain the more sustainable that is in the long run. One trend in finance that is visible these days is the fact that companies now want a unified platform that can handle financial reporting, financial budgeting, financial planning, and financial consolidation in equal robust measures. People are not skeptical about this unified platforms anymore because they know that some vendors have gotten quite far and advanced with the development of their solutions. It is a more cost efficient approach, it minimizes disruption in the business, and it is easier to maintain and scale later on. FP&A software only used to allow financial data in their forecasting activities which weren’t optimal because to be able to forecast with a high degree of accuracy and relevance, non-financial data must also be taken into consideration. This is why the trend of looking for a software that can handle both financial and non-financial data is an important one. Financial reporting has always been one of those pain points of finance departments. Some heartbreakingly still create reports that no one ever cares to read, but they are created anyway out of habit; some have to battle with broken macros, links, and formulas in their reports and some have a hard time explaining how the numbers in their reports came to be. Lastly, some finance departments sadly still rely on their IT department to pull up certain data because it is just too complex for them to do themselves. All these have led to this revolution by the finance department whereby one of their visions is to do self-service, fast, and simplistic financial reporting and honestly, why shouldn’t they aspire for such? Finance departments are expected to create reports, and everything around it must be manageable and handled easily by the finance department. If their reporting software does not allow them to do self-service, quick, and effective reporting, then what good is that software for? If their current accounting process does not enable them to create fast and real-time reports, then that process has to be drastically improved. Credibility is critical to finance departments. It is important that consumers of their reports can trust their figures. Otherwise, their output is considered useless. This is why this has led to the trend of having deep investigative features in a software. It isn’t enough that one can drill down once. A good financial budgeting and reporting software must be able to drill up, down or through. It must allow deep investigation and tracing of the figures so that it is easy to see and explain where the numbers are coming from and how the sums came to be. We have officially entered into an era where finance teams know that if working together and communicating with each other isn’t as effective as they want it to be, they know it is not the team´s fault rather it is their tool´s fault. Therefore, financial budgeting and reporting software these days are expected to carry sophisticated team collaboration features that make working with each other regardless of location easier. For example, a business budgeting and reporting software called Performance Canvas Financials posseses this ability to highlight only certain cells in an income statement or balance sheet for checking with their peers or managers. They do not anymore need to send out entire spreadsheets potentially opening pandora´s box with unwanted or unintended changes to already checked figures. Then there is this simple yet smart approval process where it shows a summary of pending or submitted tasks or basically who or what the hold up is and then who is supposed to approve it or if it has been approved or not. These things may sound too simplistic, but for many finance departments, it makes all the difference in the world. Do you want to see how best practices in financial budgeting and reporting can be incorporated in a single platform for financial reporting, budgeting, forecasting, and consolidation? Check out www.performancecanvas.com or email info@dspanel.com to request a free online demo.